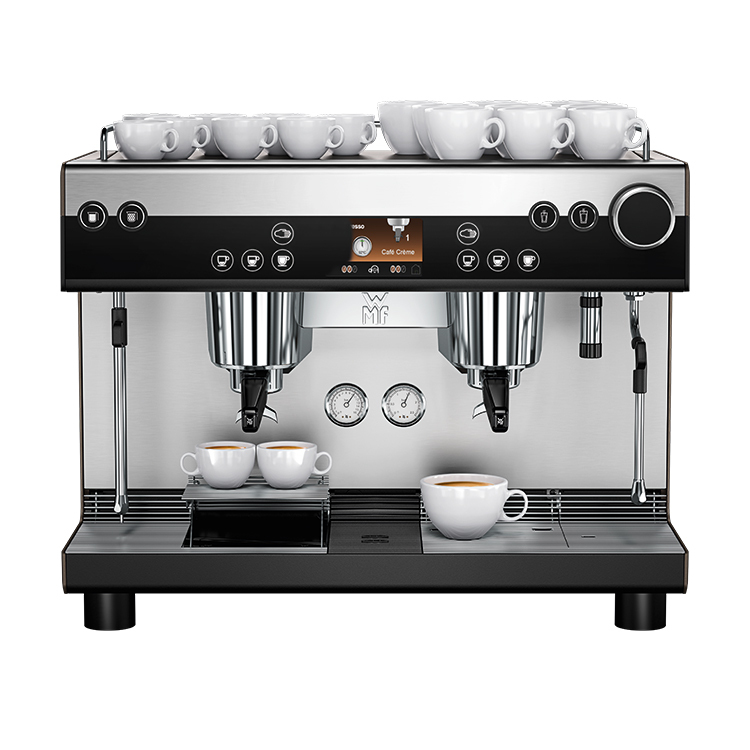 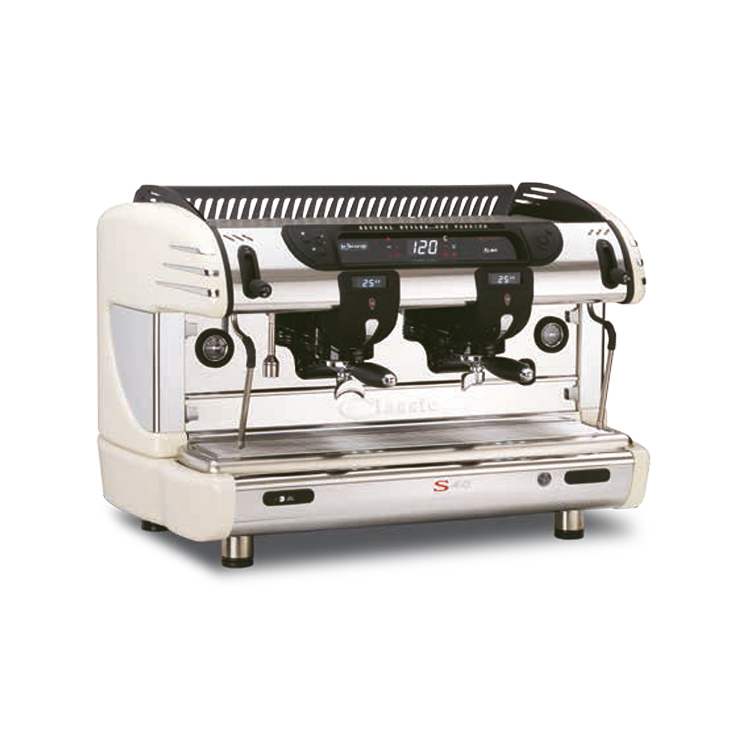 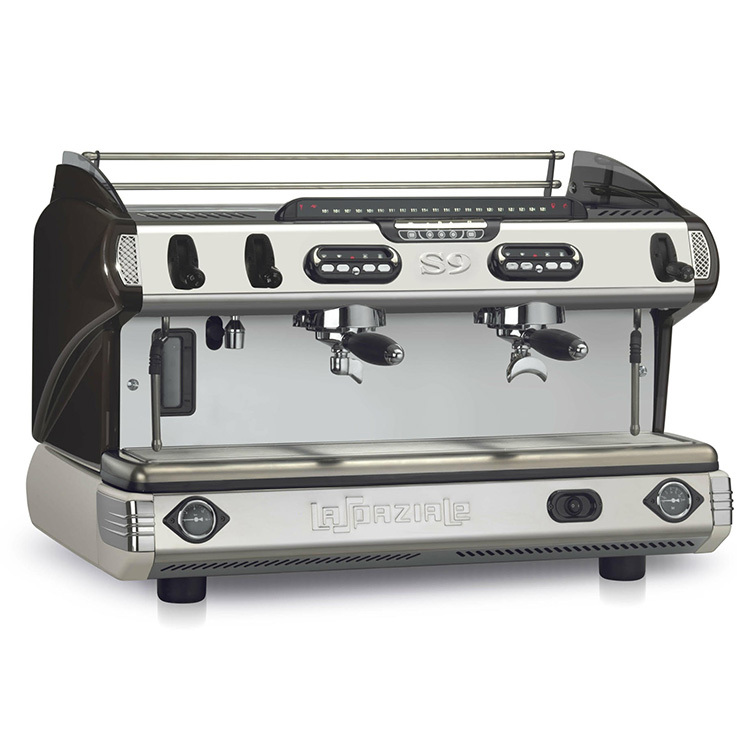 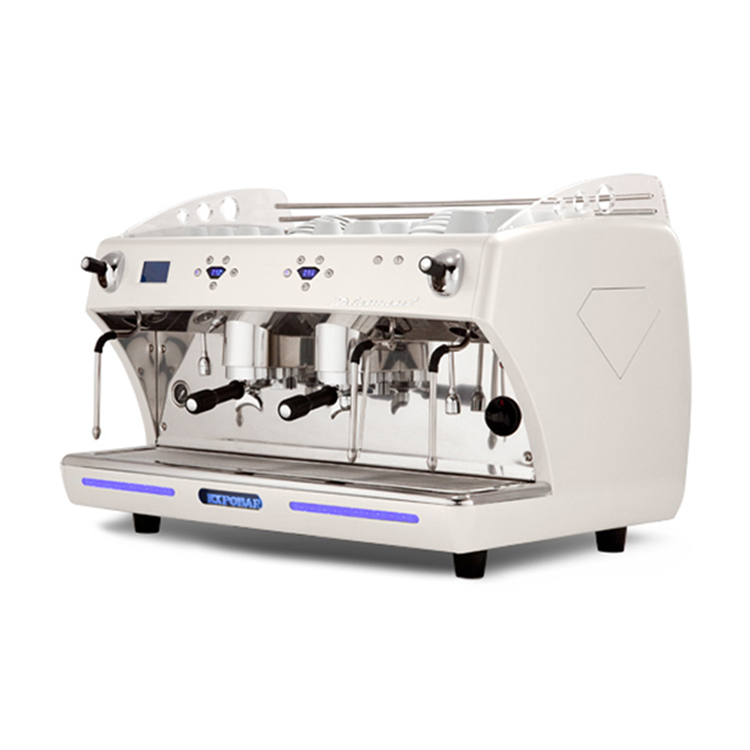 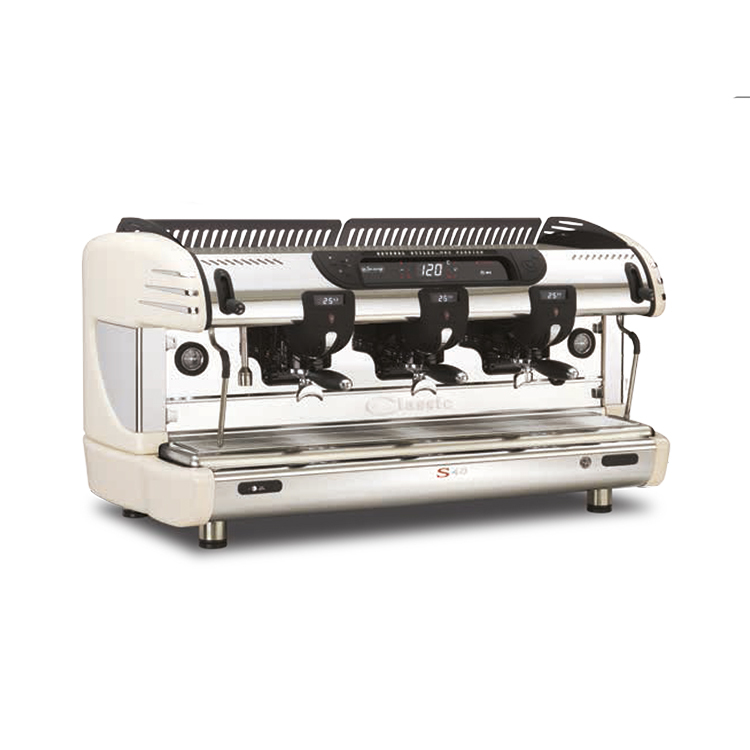 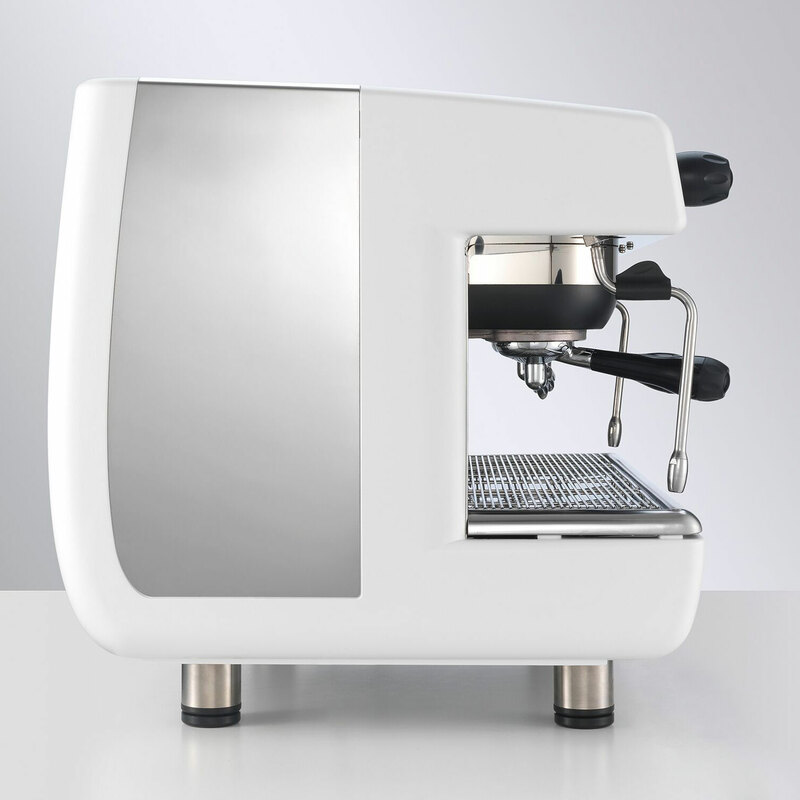 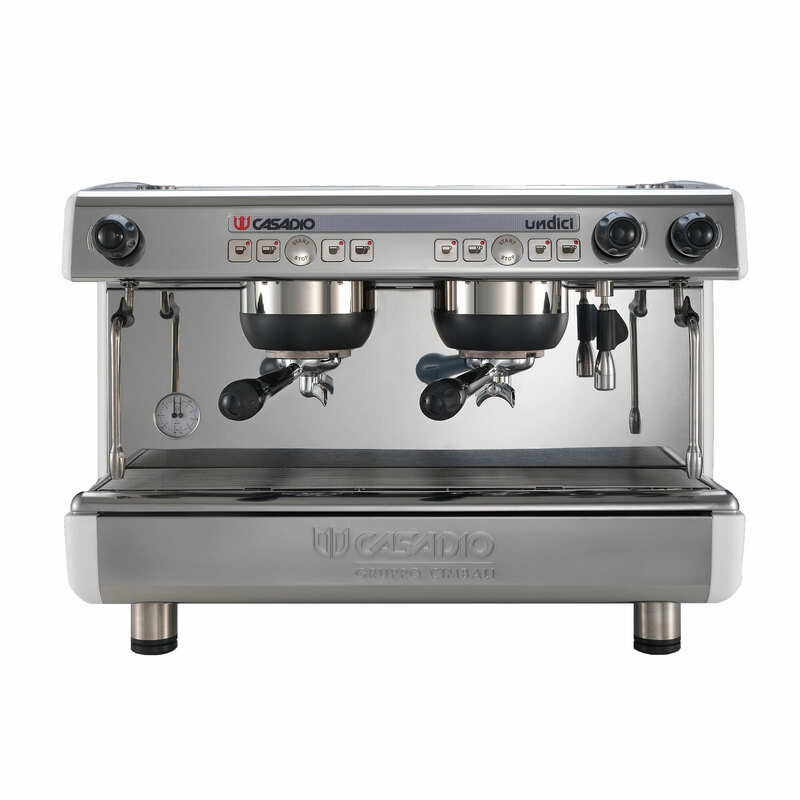 The Expobar Crem Diamant espresso machine is a luxury, stylishly designed automatic coffee machine with electronic switchboard to control the coffee dosages volumetrically. 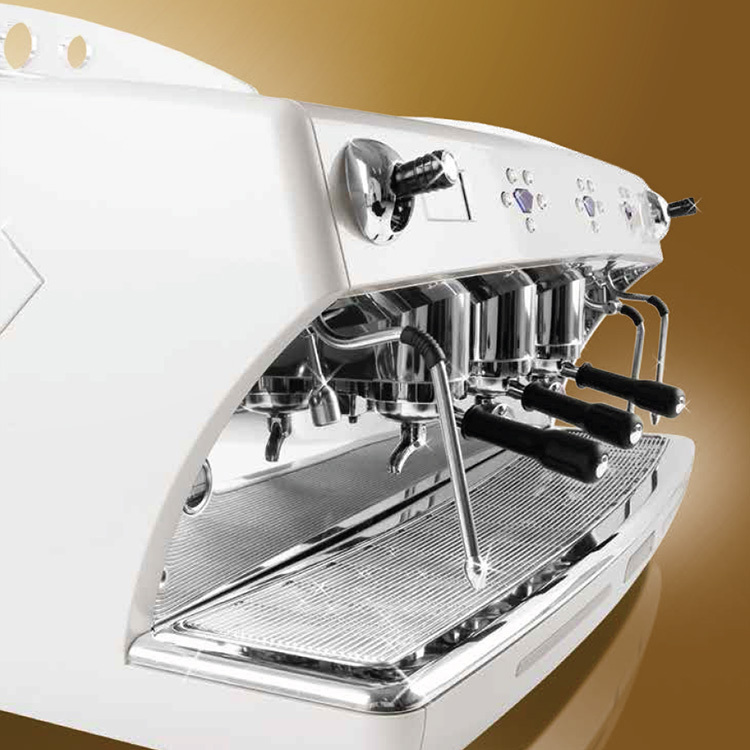 Automatic water filling and copper boiler with 11,5 litres capacity. 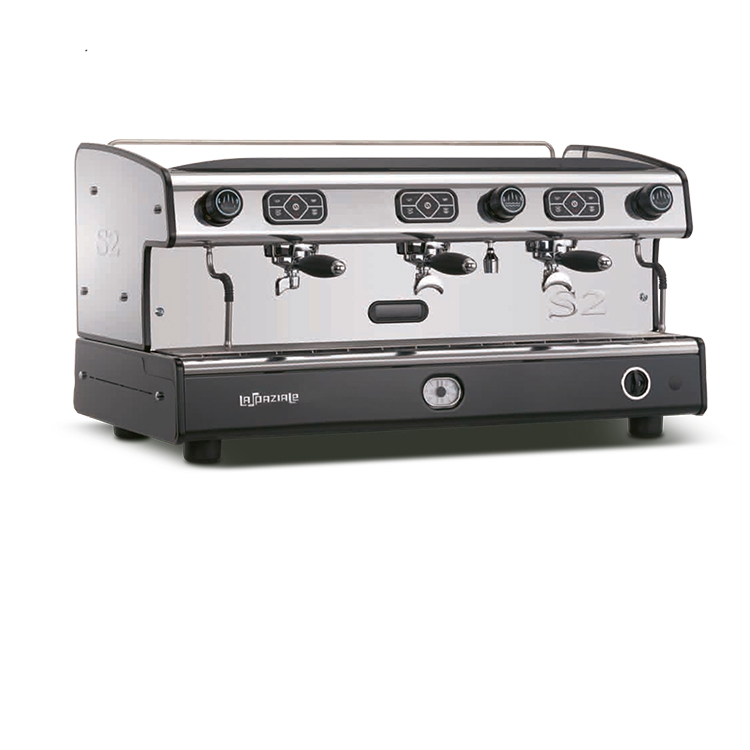 One heat exchanger per group and cleaning valve. 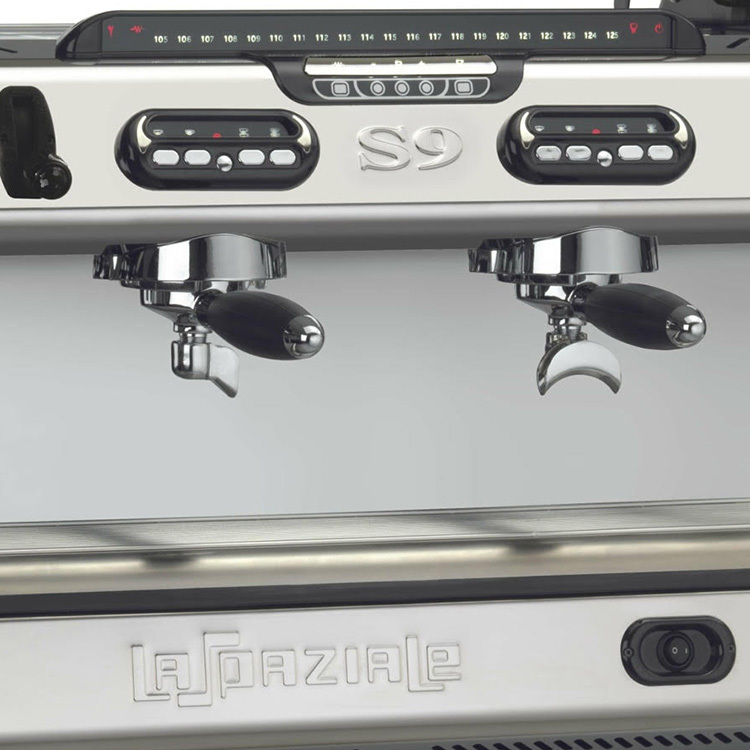 Steam taps equipped with temperature sensor and one or more hot water tap depending on model. 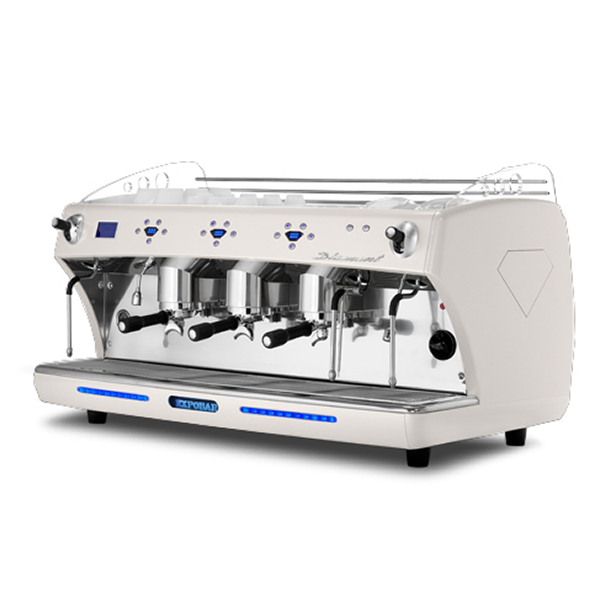 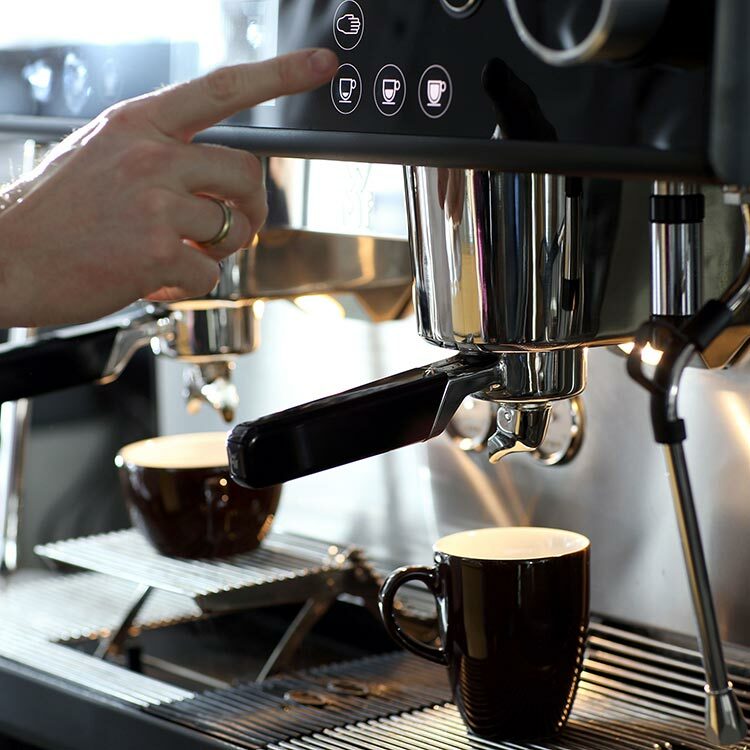 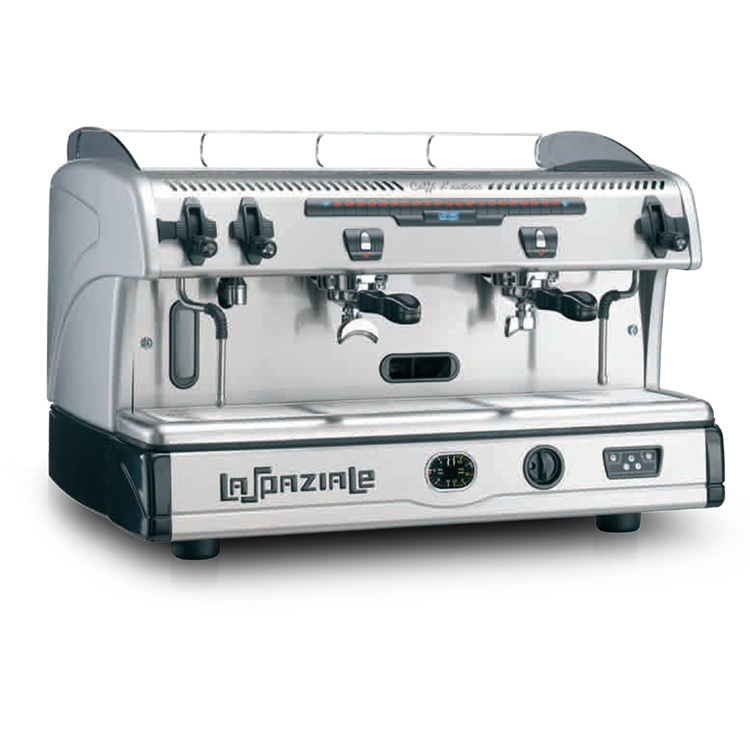 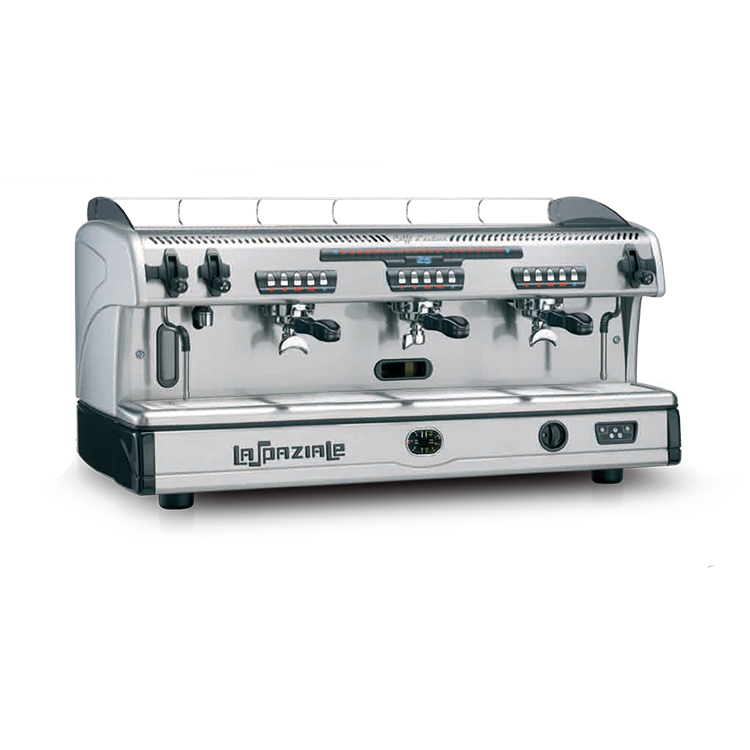 Automatic dosing of hot water, time management, and memorisation of total brewed coffees, daily automatic switch ON/OFF of the coffee machine, control of the boiler temperature through display. 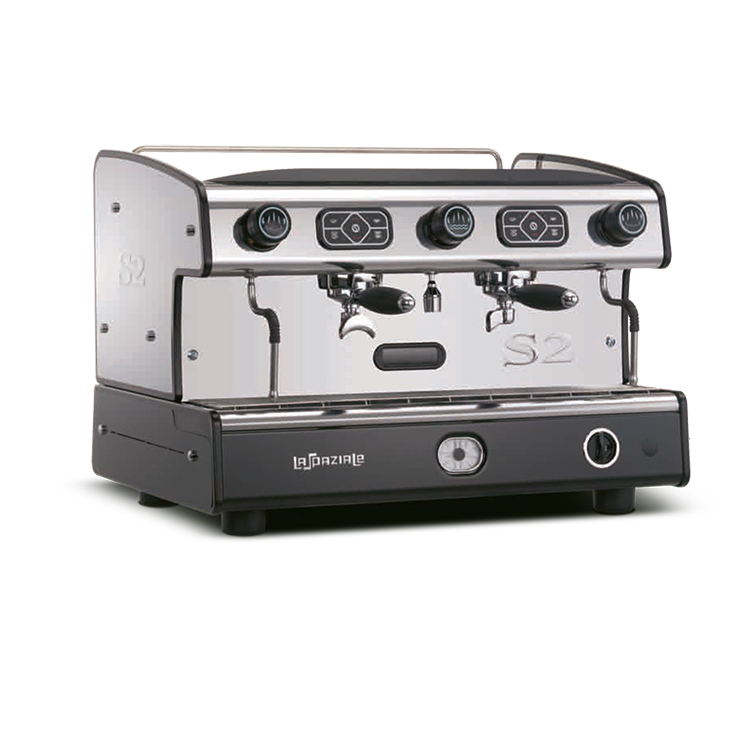 Available in 2 or 3 group models.